A Peer Learning Activity to reinforce quality education in Kosovo. 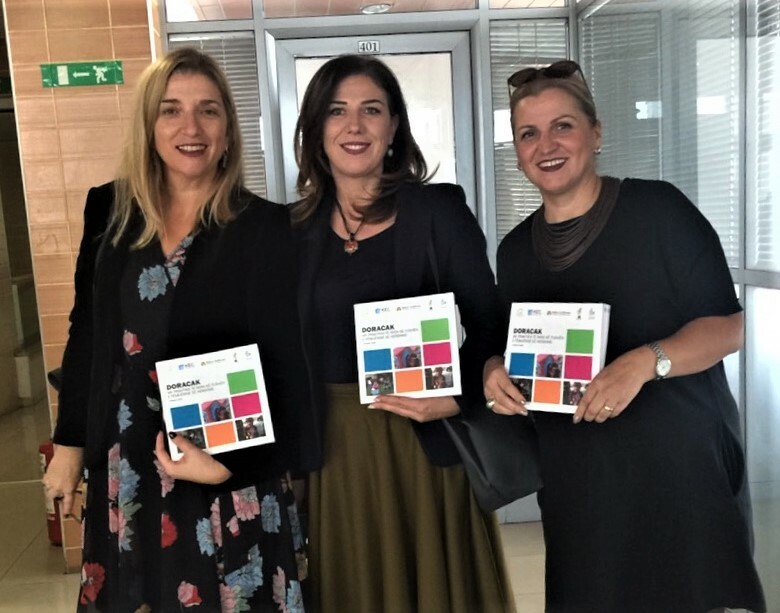 In Kosovo, the need to further develop a durable modus for quality early childhood education, has brought several organizations to produce a manual with best practices. The outlook for this manual is the implementation of ISSA Principles of Quality Education. More specifically, it concerns ten preschools in Kosovo and 2 preschool in Albania. ISSA (co)funded the initiative as a Peer Learning Activity. This year, the taskforce designed a framework that is to be spread across kindergartens, so they can share best practices and start implementing the ISSA Principles of Quality Pedagogy. The framework contains: a scheme of activities, a photo report of the activities, the groups and people involved, and of course: a clear ‘How to start’ and other practical resources. During the first lap of the project, the teachers in Kosovo and Albania will prepare and implement at least three educational activities, designed in accordance with the framework templates. Mentors will complete the best practices and submit them to the Educational and Social Center SOS Kindergarten (ESC SOS KG). It is expected that around 90 examples of good practices will be collected. Highly notable also, is the strong consortium working on the initiative. We mention: The Educational and Social Center SOS Kindergarten (ESC SOS KG), Balkan Sunflowers Kosovo, Step by Step Albania and Kosovo Education Center. They are in partnership with The Ministry of Education Science and Technology, the Pedagogical Institute of Kosovo, the Faculty of Education, and the Municipality Education Directorate of Pristina.